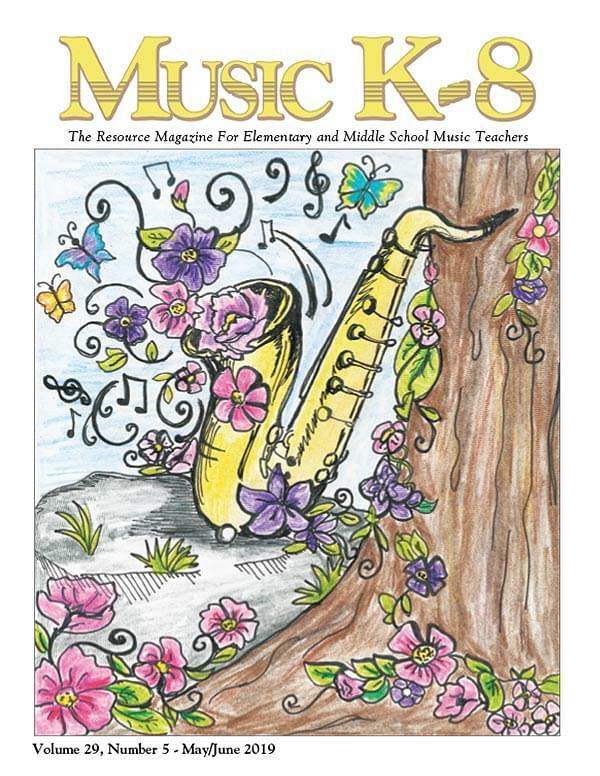 Music K-8 songs top all of the others in the other music magazines. I can truly say that having your marvelous materials kept me in the classroom. Thanks for supporting my teaching career. Your songs have helped earn me the title of "Best Music Teacher Ever" by some of my kids who beg to sing the Music K-8 songs! My students can't wait for Recorder Karate 2! I can't wait either! I'm not sure who is more excited! You've been part of my heart and teaching for more than 20 years. Awesome resources for teaching music. Thanks for tons of tremendous music over these past 14 years [...]. I honestly don't know what I'd do without you! KUDOS!! I'm absolutely bubbling over! I just finished my Patriotic Program with 3rd graders... 180 of them on stage wearing red, white, and blue and singing with such gusto there were lots of tears in the audience... and with this director! We added a color guard from the high school for "This Is America" - so powerful. “One Nation,“ “Battle Hymn Of Gettysburg,” and “We Celebrate America” [...] made it a memorable evening. I have used and reused your programs because they are timeless and catchy. Positive! and Education Rocks! are my two all-time favorites. THANK YOU. THANK YOU for not selling garbage. THANK YOU for original lyrics that make sense and are age-appropriate. THANK YOU for accompaniment tracks with REAL musicians. THANK YOU. I love the movement songs for my little people (K-2). Love your stuff! I believe I have every issue! I use lots of material from you for my program. Thank you for a varied selection of great songs at an affordable price for schools with little/no budget. I just wanted to say how much I love the songs in Music K-8, especially Teresa Jennings' music. My students love performing them and parents love hearing them. [...] Thanks for doing a great job and for making me look so good. I have ALWAYS loved teaching children music, but Music K-8 has brought MORE joy and love! You are WONDERFUL, my FAVORITE go-to place to find just about anything, between the archives, e-mail list, compositions by the brilliant Teresa and Paul and now new collaborators. Since I was first introduced to Music K-8 MANY years ago, you have made my teaching a JOY!!! Nearly 100% of my concerts come from Plank Road. Where would I be without you!? Thank you. Thank you. Thank you. You all are awesome.